CG PET 2019 application form will be released soon. Check apply online procedure for CG PET 2019. Refer step by step procedure to fill CG PET application form 2019. See eligibility criteria, important dates and fee for CG PET registration. View detailed on information on how to fill CG PET online application form. Know CG PET application form last date. CG PET 2019 online application form will be released by the Chhattisgarh Professional Examination Board (CPEB). Chhattisgarh PET application form 2019 is available in the fourth week of March 2019. Candidates have to fill CG PET online application form and submit in the online mode. CG PET application form filling procedure having four simple steps which include filling details in CGPET application form, uploading scanned images, CG PET application fee payment and print out the duly submitted CG PET online form. Fee amount of CG PET 2019 application form varies category wise. Candidates have to pay the Chattisgarh PET application fee online or through SBI bank challan. Before filling the CG PET 2019 online application form candidates must check that they are eligible for taking the pre-engineering test. 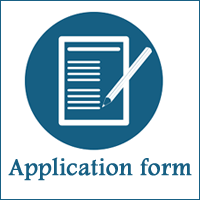 The direct link to fill CG PET 2019 application form will be provided on this page as soon as it gets activated on the official website. Read this full article, to check complete information related to CG PET online application form 2019 such as exam dates, application fee structure, CG PET apply online procedure. Nationality: Aspirants should belong to the Indian nation. Domicile Eligibility: The candidate must belong to Chhattisgarh state. Qualifying Exam: Candidate should be passed class 12th from Chhattisgarh board or equivalent board. Subjects: Students must qualify the qualifying exam in Physics, Mathematics, Chemistry and one of the technical vocational subjects. Minimum Marks: The minimum aggregate marks are 45% for General candidates and 40% for ST/SC/OBC/PH candidates. Age: The aspirants should be completed 16 years as on 31st December 2019. Qualifying Exam: Applicant must pass 10+2 with Chhattisgarh board or equivalent board. Minimum Marks: Candidates should pass XII exam by with 50% marks in Physics, Maths, Chemistry & English (40% for SC/ST/OBC). Subjects: The required subjects are physics, chemistry, mathematics and English. Appearing Candidates: Final year students are eligible to apply for CG PET 2019. They should pass a qualifying examination before counselling. Age: The candidate should complete the 17 years of age as on 31st December of 2019. Subjects: The necessary subjects in the qualifying exam are Maths, Physics, Chemistry and English. Qualifying Exam: Aspirant must qualify the 12th or equivalent from Chhattisgarh board or from the equivalent board. Minimum Marks: General applicants should obtain the 50% marks together in PCM and English 40% for reserved category candidates. Appearing Candidates: Final year qualifying examination appearing students can also apply. Below mentioned details are necessary to complete the CG PET 2019 apply online procedure. You should compulsorily enter the below-attached details while filling CG PET 2019 online application form. There are four steps in the apply CG PET online 2019. See the detailed procedure of four steps. Visit the official web portal of CGPET Registration 2019. Click on “Application form” tab. Then “online application for Pre Engineering Test” page will appear on the screen. Read the instructions carefully and press on “Proceed to Apply online“. Candidates should upload the scanned images of colour photograph, signature and left thumb impression. After that tap on “Submit” button. Once verify the filled details and click on “Ok” button. After uploading the scanned images of photograph, signature and left thumb impression, you need to fill the contact details and selection of exam centre. Here, aspirants fill the address details in CG Vyapam PET application form 2019 for communication purpose. Candidates have to select the centre from the available list where they want to take the test. After selecting the examination centres, individuals should click on “I agree” button on the confirmation page. Through Bank Challan: Candidates make the application fee through offline i.e., through challan form at any SBI branch. Through Online: Applicants can be done the CG PET online application fee payment via online by using Debit card/Credit card or net banking. After completion of fee payment, a unique id will be generated. Candidates should keep the ID safe because it is necessary at the time of admission. After the successful fee payment, candidates must take out the printout of the CG PET application form 2019. By clicking on “Print final application” and take the print out of it for future reference. Chhattisgarh PET is a state level entrance exam. It is conducted by Chhattisgarh Professional Examination Board (CGPEB). CGPEB is also known as CG Vyapam. Through this CG PET, candidates can get the admission into Engineering, Agriculture Engineering and Dairy Technology courses across Chhattisgarh State government and non-government colleges. Therefore, interested aspirants can apply to the CGPEB Pre Engineering Test 2019 as early as possible. In the above sections, our team has given the total CG PET 2019 online apply the procedure. Therefore, candidates can make use it while filling the CG PET application form 2019. Here, total information enclosed based on last year CG PET notification. 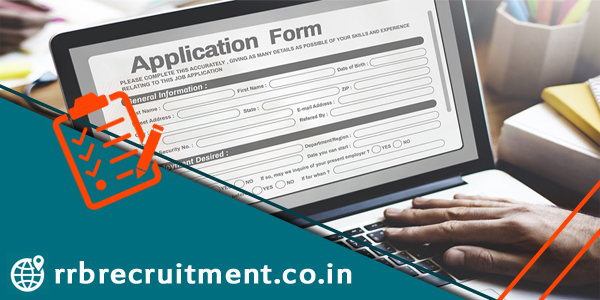 Hence, bookmark our site RRB Recruitment to check latest updates on CG PET online application, results, previous papers and admit card download.